Purchase the vehicle you want on your terms. You Could be Approved in a Matter of Minutes. Take control of your vehicle purchase in 3 simple steps. Submit a loan request using our simple form. You will be contacted by email or phone by the participating lender. Complete your vehicle purchase the same day. Access our extensive network of auto dealers and direct lenders with one simple application, eliminating traditional methods of borrowing. Walk into the dealership with financing already in your hands. Being pre-approved eliminates the need to apply for financing after you've chosen a car. 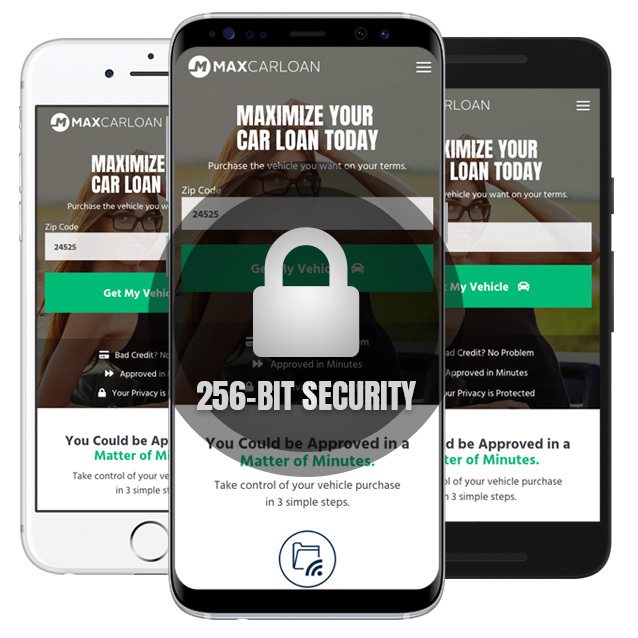 There are no fees for applying with MaxCarLoan. There are no obligations to activate the loan you are approved for. You’ve come to the right place to get approved for auto financing. Get approved for bad credit financing within minutes. Copyright © 2019 Maxcarloan.com. All rights reserved. The operator of this site is not a direct lender. Loan terms, conditions and policies vary by lender, state and applicant's individual qualifications. Not all applicants will qualify for a loan or be approved for their requested loan amount.